My heart and prayers are with all of those Marching for Life today. I'm especially thinking of our beloved seminarians who trekked out for the March. And we're missing them, of course! Right before Therese was born, we went over to Menards and picked out this tan colored rug. It's served us well, but now it's old, worn-out, and kind of dingy looking. Finally, I got tired of looking at it, and started scouring the internet for affordable rugs. But, when your budget is teeny-tiny, it's hard to find what you're looking for. 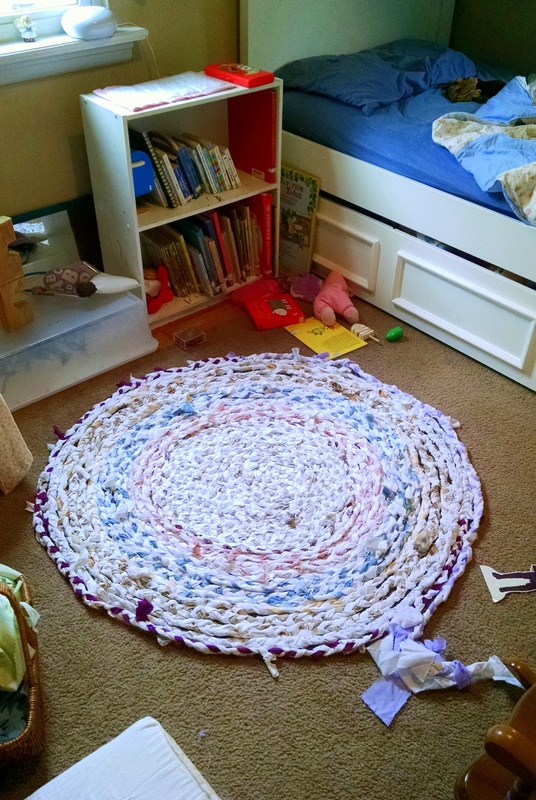 So, I decided to take some fabric I already had and make a braided rug. Isn't it so much prettier than the old rug?! This is just a picture of the coils laying out, and the braiding isn't even finished in this picture...but it is now! I have it all braided and pinned to a backing, and I hope to sew it to the backing today (Maria's mood permitting). It's so satisfying to find a frugal solution! What's that saying? "Necessity is the mother of invention." Poor little Maria succumbed to the flu/cold that I had, and was sick and feverish all of last weekend. But the weather was GORGEOUS, so Therese and I snuck out to the park together. I sometimes forget, in all the busyness of life, what an absolute treasure she is. I love spending time with this creative, funny, beautiful little girl, and I get super excited when I think about what she's going to be like when she's grown up! 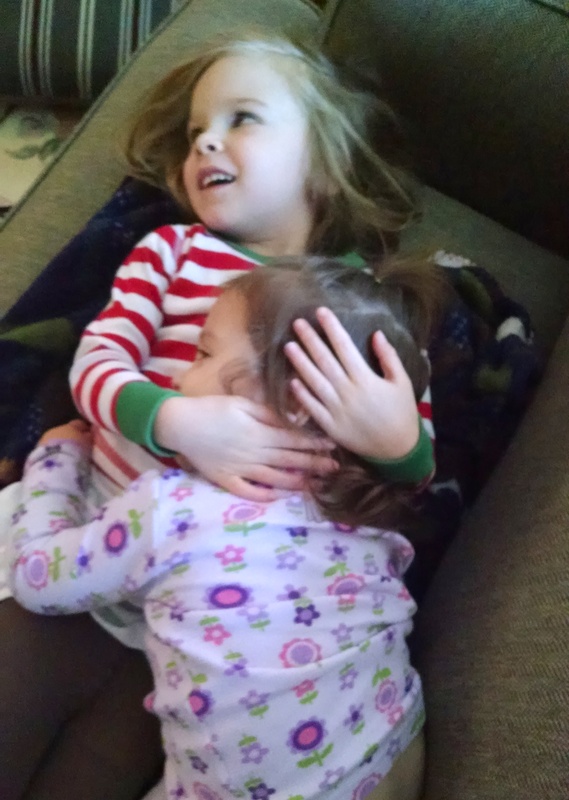 I tried my hardest to keep these two apart when Maria was sick, but it was near impossible. "We loves each other!" In the early days of this blog, Therese was right around Maria's age and I was intent on doing "Tot School" with her. 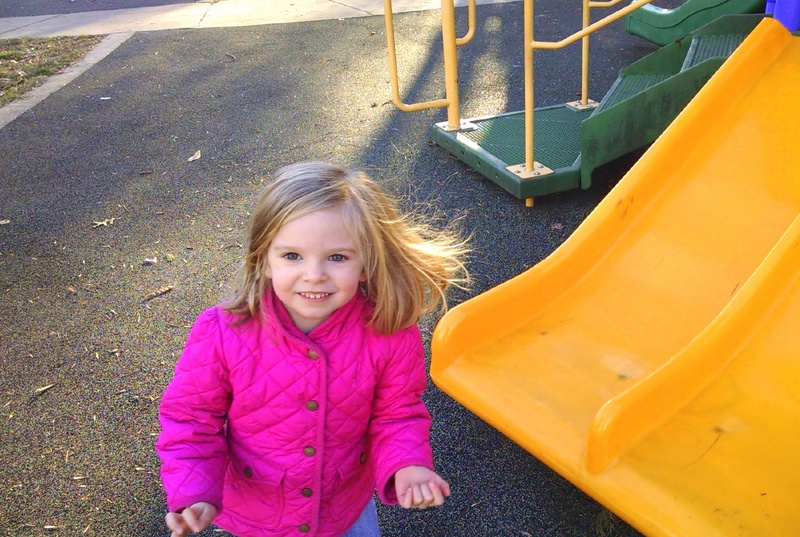 (For background on what "tot school" is, check out Carisa's beautiful blog.) I enjoyed it, she enjoyed it, but it was so forced at times. Recently, I started doing some "tot school" with Maria...and it's been completely organic. (And no, I don't mean that we're using all natural materials or anything. See our take on plastic toys.) 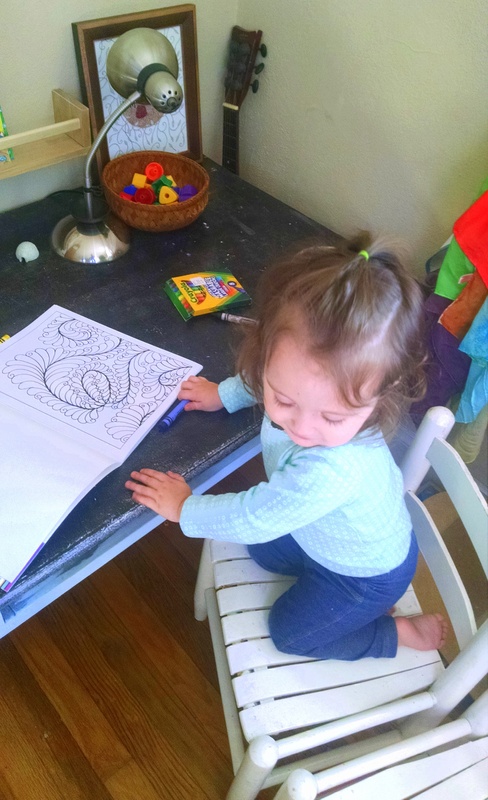 She dropped her morning nap, was "hovering" around while Therese and I were doing preschool, and was ready for simple little activities - coloring, playing with playdough, etc. Am I preparing fancy activities and spaces for her like I did for Therese? No. Is she getting some one-on-one interactive time with Mommy. Heck, yes! 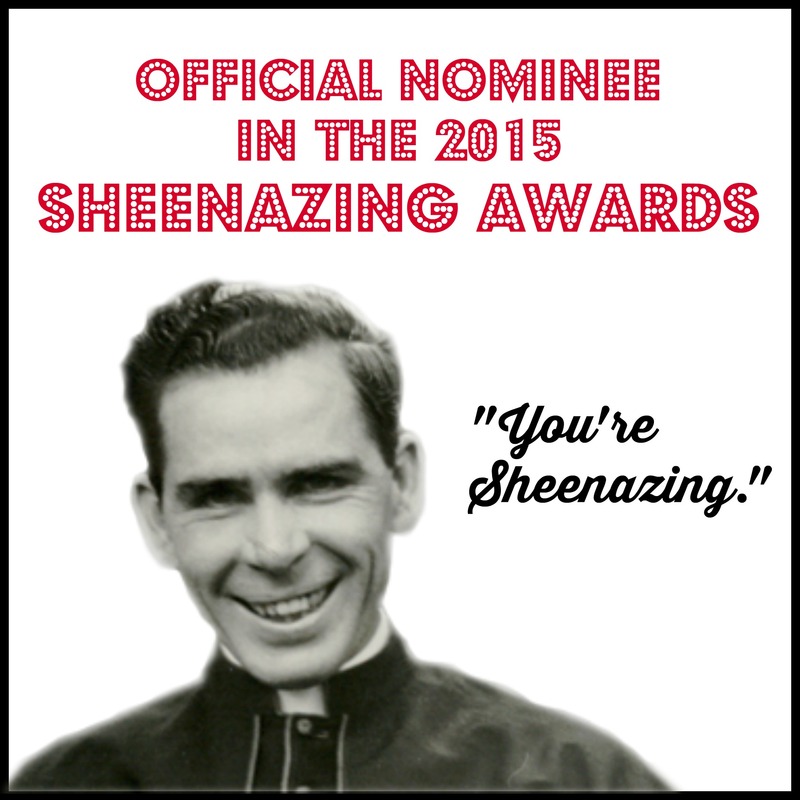 If you haven't already, please pop over and vote for My Domestic Monastery in the annual Sheenazing Awards. Thanks for hosting them for another year, Bonnie!